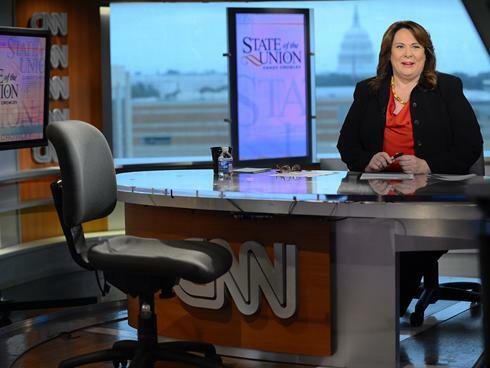 CNN's Candy Crowley has been named a moderator of a presidential debates this fall, marking the first time in 20 years that a woman will be posing the questions. The Commission on Presidential Debates also announced Jim Lehrer of PBS, Bob Schieffer of CBS News and Martha Raddatz of ABC News as debate moderators. Crowley, host of State of the Union on Sunday mornings, will lob questions and set the pace for the Oct. 16 town hall-style debate between President Obama and Mitt Romney. Raddatz, senior foreign affairs correspondent for ABC News, will ask questions of Joe Biden and Paul Ryan at the Oct. 11 vice presidential debate. It's the first time for either Crowley or Raddatz to moderate one of these high-profile debates. Lehrer, executive editor of the NewsHour on PBS, and Schieffer, host of Face the Nation on CBS, are both presidential debate veterans. Lehrer will lead off the series as moderator of the first debate on Oct. 3, and Schieffer gets the honors during the last debate on Oct. 22. "These journalists bring extensive experience to the job of moderating, and understand the importance of using the expanded time periods to maximum benefit," said co-chairmen Frank Fahrenkopf and Mike McCurry of the non-partisan commission. "We are grateful for their willingness to moderate, and confident the public will learn more about the candidates and the issues as a result." Three New Jersey high school students launched an online petition to get a woman moderator this year. 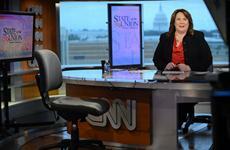 Carole Simpson of ABC News was the last woman to do so, and moderated a debate featuring Bill Clinton, George H.W. Bush and Ross Perot.